I have had several trips to this amazing historical building with several hundred photos in archives – ECVB however is being demolished, the history only captured in the eyes of photographers. In the 1900s many Belgian villages were still lit using petroleum lamps, as electricity hadn’t been made available. By 1913, many of these had been updated to Kerosene lamps. In 1903, the company that owned the tram system that serviced the canals founded a regional electricity company the ‘Société Centrale d’Electricité du Brabant’ (CEB). 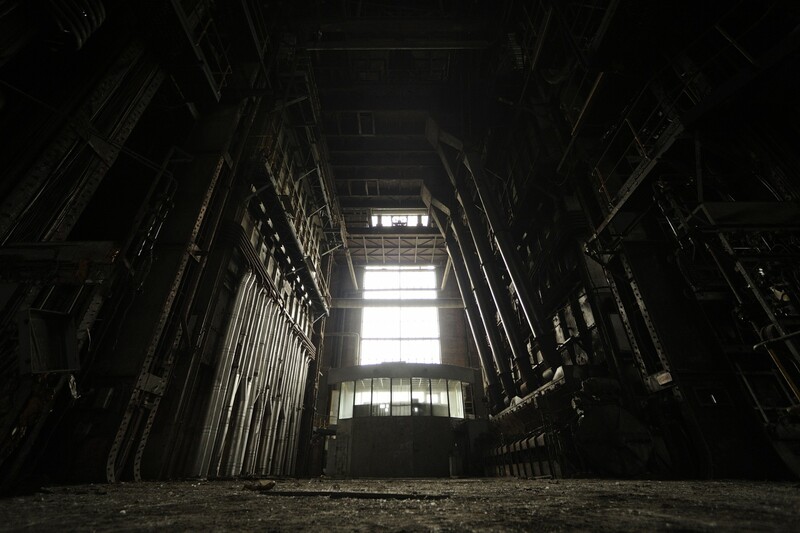 The Oisquercq power plant in Western Brabant, which was the first major power plant in the country, became part of CEB. In 1905 , the ‘Reunions Societes d’Energie du Bassin de l’Escaut’ emerged in Antwerp (this is later to be known as Electrabel). In 1911 Baron Floris Van Loo, with the help of the Bank of Outremer, built the the first power plant in Langerbrugge. Langerbrugge is situated in the Ghent canal area in Belgium, it is joined with Kerkbrugge, to make the residential area Kerkbrugge-Langerbrugge which is part of the municipality of Evergem. Langerbrugge is located on the western side of the canal Ghent-Terneuzen and this plant was to make the industrial development of the entire canal possible. By 1912, the concession of electricity in 17 districts on the outskirts of Ghent, had been obtained. On 29 February 1912 the council decided that for the security of the inhabitants, all public lighting should be lit all night. 1913 saw completion of the actual power station, administrative buildings and official residences, which were designed by Brussels architect Eugène Dhuicque. In principle, the municipality and the the Baron had reached an agreement, but the cost had still to be negotiated, on the 14 January 1914 a contract was signed. The power plant, which was named the Centrales Électriques des Flandres et du Brabant or CEFB of Langerbrugge, was built and commissioned by 1914. The Dutch translation of this name is the Elektrische Centralen voor Vlaanderen in Brabant or ECVB. In June 1914 the power plant went into service. During WWI, the turbine room amongst others was damaged during warfare, whilst the walls were still standing, everything else was irreparable. In addition to this, the Germans had destroyed a large part of the overhead transmission, cut and severed underground cables and destroyed or stolen equipment from sub-stations during their retreat. 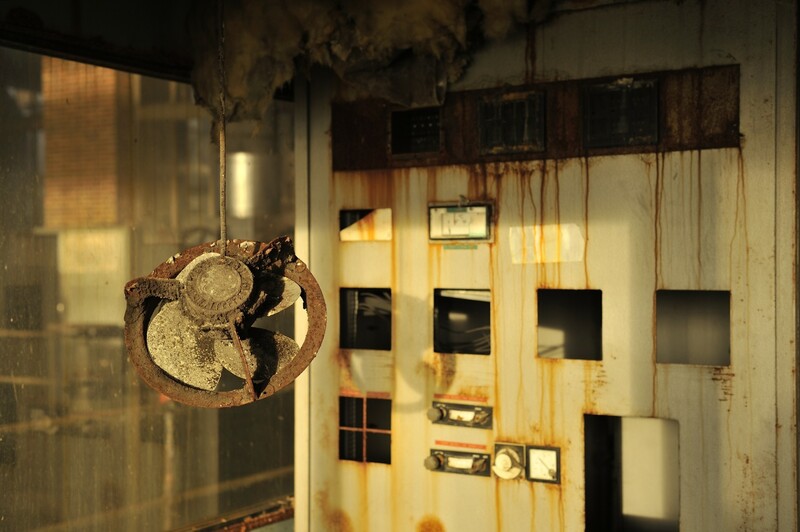 With an amazing amount of hard work, the plant was supplying power again within a month of regaining possession. As the first world war ended in 1918, many European countries chose to nationalise the electricity sector. It was not the formula that adopted in Belgium, the management of the sector by private groups was promoted. This did not mean that the the electric systems were not to reviewed. 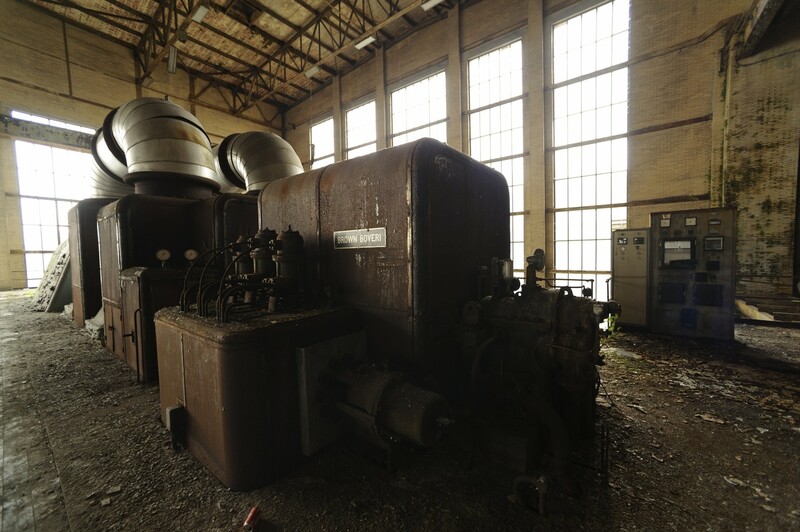 During 1919-1924, the power plant saw a huge increase in capacity, with new boilers installed and calls for further studies on the systems being taken up in America. Leopold Herry (the founder / director) was a pioneer in high pressure systems. The ‘Commission nationale pour l’étude du nouveau statut des sociétés d’électricité’ (National Commission for the Study of the New Statute of the Electricity Companies) called for mixed inter-municipal associations, this was incorporated under the Act created on March 1, 1922. It was agreed that municipalities would provide the right to use their roads. The private companies were to share any technical and business experience they had acquired and allow the use of part of their distribution facilities. In the 1920s garden areas were created in Belgium, following the example of the English countryside cottage. These areas were built with the principles of an ideal, green living environment surrounding cities. Each district it characterised by unified architecture, a green area and a private relaxation infrastructure. In 1929, in the shadow of the power plant of Langerbrugge, the Garden District “Herryville” was built. Henryville, was also designed by Dhuicque, and built by the factory, being named after the founder-director, Leopold Herry. It was intended as a separate neighborhood for managers and foremen of the plant. In 1930 the Langerbrugge velodrome, also designed by Dhuicque, was built to promote the sport life of the workers of the power plant. This was to be one of the most important training slopes of Belgium for many years. The courtyard of the velodrome also served as a football field. On the 26 July 1932 rider Edmond Caus from Ghent crashed, this was the only fatal accident to occur on the velodrome. In 1930, the engineer Leopold Herry installed a boiler called “Benson” named after its inventor, Mark Benson. The”Benson” vaporized water at the temperature of 374 °. Thanks to the advances in thermodynamics the cost per kWh was lowered. In 1935, more than twenty independent electricity companies existed in Belgium. In May, the “Amicale Sportive des Centres Electriques et des Flandres du Brabant et Societes Annexes” was created, the association board were undeniably football lovers as they approved the creation of FC CEFB. At that time the plant still working under the system of the 48-hour week, six days of eight hours, and there was therefore a need for special authorisation from the board to allow the players to have time off work on Saturday afternoon for playing in matches. The management succumbed to the argument that the team also deserved to have their fans present, so all supporters of FC CEFB, also had time off on a Saturday. This caused disruption to the 48-hour week, so it was decided to follow the pattern of the English working week (working a half day on Saturday), which in turn lead to the current five-day week. Other companies in Ghent were not quite ready for such initiatives, but a few of the other larger companies such as SEM (subsequently ACEC), UCB and SHELL founded teams, which lead to the creation of the cooperative Football Federation of East Flanders. In 1937 Marcel Burggraeve drove the founding of the staff entertainment group, which had the motto “For the CEFB and the CEFB“. For the next quarter of a century, this group brought a rich assortment of popular entertainment, operettas, music and ballet for example. This was not only a nice way for the staff to socialise out of work, it was also a way of their wages go further with discounts for group bookings. There were campaigns in shops in the cities and in cinemas to obtain discounts. The members of the group became known as ‘Friends’. As the wage conditions improved, these discounts became less important. From the beginning there was the initiative of a burial fund, originally reserved for ‘Friends’ but later extended to the entire staff. At the time, this was a progressive initiative, the social services were no where near as developed as they became in the future. The fund was designed to provide financial assistance to the relatives of deceased staff members. On 25 February 1939 the “Amicale Sportive des Centres Electriques et des Flandres du Brabant et Societes Annexes” became the “Amicale des Centres Electriques des Flandres et du Brabant et Societes Annexes“. This non-profit organisation was renamed as an indication that this association was no longer limited to sports. A further four years saw the association focus on the health of their members amongst other things. this saw the organisation of more relaxed activities such as tours and excursions. In the autumn of 1939, the beginning of war saw the young staff drafted in to the armed forces. During this dark time, it became essential that the remaining staff had there basic needs met and any of the ‘luxuries’ ceased. In 1940 it was decided by the management that it would send packets to prisoners of war, a total of 168 were sent costing BEF 8611. At the end of the war, the remaining funds for this cause where used to financially support five war widows and six orphans. For the entire duration of the war, it was also ensured that Christmas gifts would be provided for the children of the staff fighting in the war. After consultation with Mr. Freyman, director of the center of Langerbrugge, on 26 January 1941, “The Corner Ground” was founded. The land at the edge of the powerplant was divided among all the employees, so that everyone could supplement the meager rations with home grown potatoes and vegetables, smokers even grew their own tobacco. The ‘Friends’ created a series of books dealing with agriculture and provided the necessary seeds etc for planting. Furthermore, the ‘Friends’ also managed to get an additional supply of potatoes, thanks to discrete contracts with some large polder farmers. The center square of the velodrome was turned into a vegetable garden for the employees. In 1942 the ‘Friends’ negotiated a significant price reduction in the price of electricity for the staff of the plant. The first years after the war were characterised by scarcity. Literally everything was missing from soap to bicycle tires and textiles. The demand was huge and supply was limited. This had its (negative) influence on the level of prices. Therefore, in 1945, the ‘Friends’ implemented an economic measure of bulk purchasing again, securing special prices for all kinds of necessities. 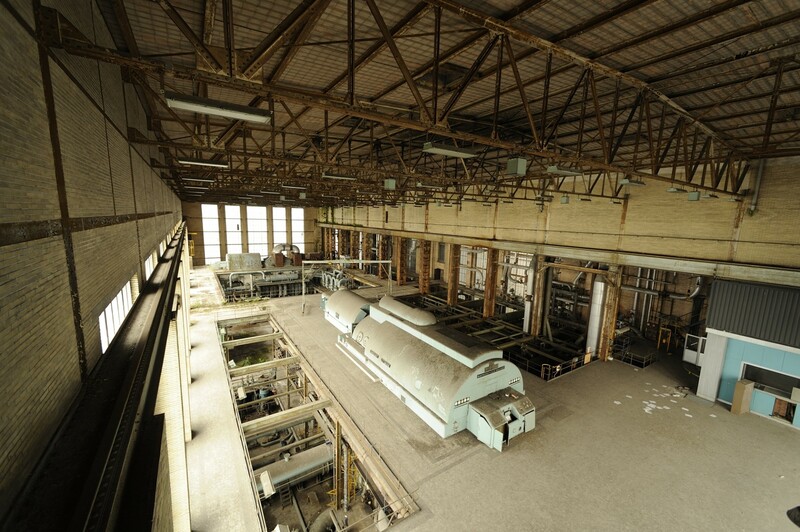 The textile factories, clients of CEFB, sold fabrics to staff of the power plant at cost. Soon the power plant also started to sell wines and liqueurs, a local shop was set up and to use the services of ‘CEFCO’ a 100 Francs subscription was required, at the end of the financial year a dividend of 9% on the amount of purchases was divided between the members. This service was so appreciated by the staff that in a few years there was a turnover of 1,000,000 BEF. This activity was forced to close after a law was passed to cease industrial enterprises giving financial help in the form of economic support to their staff. On September 21 1947, the establishment of a swimming group by the ‘Friends’ was welcomed. With the active cooperation of Louis Van Parijs, former world champion and operator of the plant. In 1949, due to the improved living conditions, the vegetable areas loaned to the staff during the war were handed back, this finally gave FC CEFB a home ground. The fifties were quite difficult years for the power plant, after economic recovery from the war, the mid-1950s saw the price of coal increasing dramatically. The rise in price was mostly due to the Suez Crisis, and at this time Belgian Plants had the reputation for burning the lowest quality fuels in the world. Despite the efforts to develop coal and it’s residues, diversification of primary energy sources was required. The use of fuel oil and ‘Pitch’ (extra-heavy waste product of the distillation of petroleum) was introduced. In 1956 the Ebes (Sociétés Reunis d’Energie du Bassin de l’Escaut) was formed. This incorporated CEFB and three other power plants. The following year, Ebes bought Société d’Electricité du Littoral. The ‘Friends’ were immediately incorporated into a larger whole and President Gustave Devigne (famous for his entrepreneurial spirit) entered into negotiations with the existing circle of friends of the merged companies to become a single Ebes valued group. These proposals were received with much enthusiasm and Gustave Devigne was the first Chairman of the Board, focusing on the strengthening of friendship between all Ebes seats from Ostend to Mol. Many sports clubs were created in addition to those already existing, examples of these are Archery and Billiards. In 1958, with the support of passionate photographer Albert Schepens, the Photography club was born. The club flourished in its first year, celebrating with an exhibition. This became an annual event, with members also participating in national and international exhibitions, “Fotoclub Ebes Ghent” was well known in several countries. 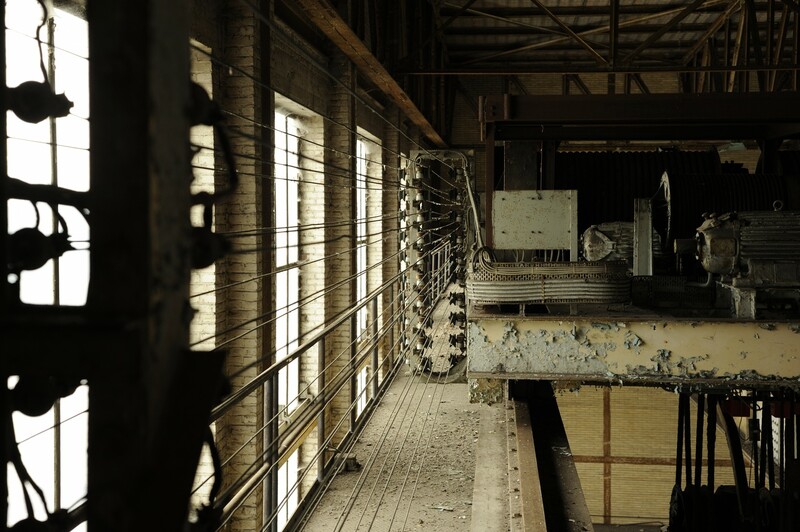 By 1960, it was realised that inevitably there would be fewer suppliers of electricity in Belgium, three at most. The two largest companies (Ebes & Intercom), were competing fiercely in many different parts of the country. In March 1961, an agreement was signed, in Flanders, between Pierre Smits (Ebes) and John Spindler (Intercom). This decided set distribution areas, to avoid conflict, however these agreements did not materialise as the two companies failed to agree on minute detail. In 1963, the middle coal crisis occurred, this forced the creation of the ‘pool of calories’. Through this pool, Ebes, Intercom and Interbrabant bought their common solid fuels to get a better wholesale price. In 1964, with its gradually aging workforce, a substantial recruitment of young staff was received. Employing new people came in waves, with long periods of time in between each recruitment period. Under pressure from political authorities, an agreement was signed on 21 November 1974 that three large companies would be created. Company ‘A’ would be the already established Ebes, Company ‘B’ would be the result of the merger between Intercom and Interbrabant, and finally Company ‘C’ would be an amalgamation of Electrogaz, UCE-Linalux-Hainaut, of Esmalux, Gas de Namur and industry Ebes of Oisquercq (in 1976 this company was named Unerg, an acronym of ‘Unions Power Plant’ and ‘Electrogaz’). 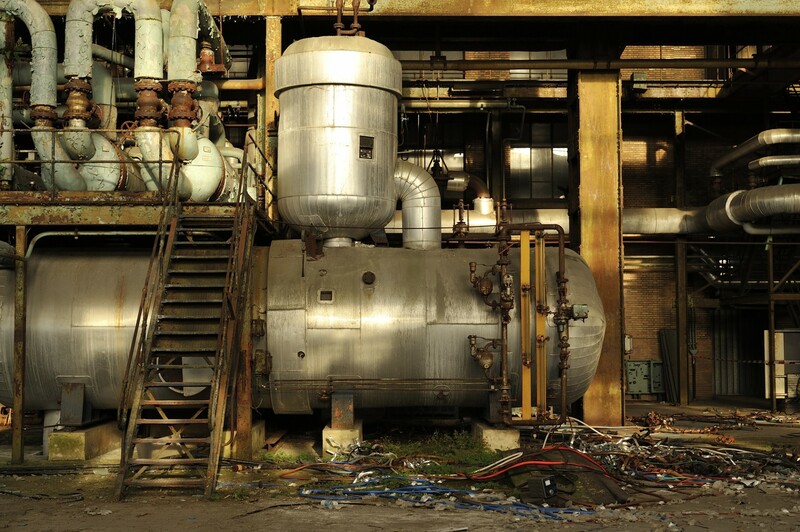 A boiler and a back pressure steam turbine alternator (Group 20), launched in 1974 to steam to supply the paper mills of Langerbrugge, and a gas turbine with alternator and a recovery boiler with after burning (Group 30). In 1980, it was noticed that some of the shift workers were gaining weight and becoming unhealthy, so the Cyclotourism group was created. The velodrome at Langerbrugge was used to train for the World Championships and Olympic games, riders such as Patrick Secru, Leo Sterkx and Willy De Bosscher used the track for preparation. The last heyday of the velodrome took place during the Whitsun weekend of 6-8 June 1981, this was for the Belgian track championships. In 1986, the Museum Energeia opened on the power plant site. This housed preserved steam engines and steam turbines in the exhibitions, as well as documents and books from the period of 1900-1960. This museum was open to the public and proved quite popular initially. At the end of 1991 a further two companies joined Electrabel, Electronucleaire and Antwerpse Gasmaatschappij. In the year 2000, as a change in public relations policy, Electrabel decided to close the Museum Energeia. With the threat of destruction looming over the archives within the museum, the director of Electrabel (Marc Debaets) resumed contact with AVAEA, and in October 2001 an agreement was signed. This provided the transfer of 320 linear minutes of Ebes archives. The actual transfer took place in April 2002, and was reduced to 180 linear metres or 3584 items. The production of electricity stopped in 2001, after a new power plant was built. The production of steam and water for heating the district was seen as outdated and more effective methods were implemented. A small part of this power station remains active, still giving everyday power to some surrounded industries. For a long time a majority stake in Electrabel was held by the French company Suez. In 2005, Suez increased its stake to 96.7% and a squeeze-out of the remaining shareholders was completed on 10 July 2007, when the company was delisted from the stock exchange. Following Suez’s 2008 merger with Gaz de France, Electrabel is 100% owned by the French multinational GDF Suez . In Belgium, Electrabel, were the largest electricity producer and supplier in 2010, second largest natural gas supplier and the largest producer and supplier of green electricity. Also, they are the largest electricity producer in the Netherlands. In total the have 8490 employees. Since January 1, 2010, steam production for the companies Stora Enso and Algist Bruggeman, stopped, and two new fire tube boilers and steam supply for Kronos were launched. 2012 saw the beginning of demolition, the older buildings were completely destroyed and the dismantling of the more modern buildings started, with extensive asbestos removal and no preservation. Whist some of the documents from the museum we removed for presentation, the remaining paperwork and equipment was left behind. 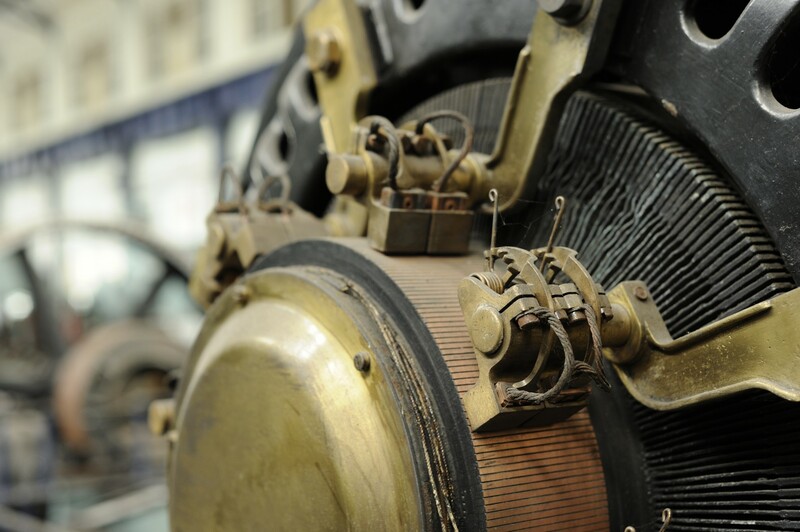 Unfortunately, thieves have profusely looted the museum, almost all exhibits have been destroyed and stripped of copper, one of these is the 1912 Compound Steam Engine. 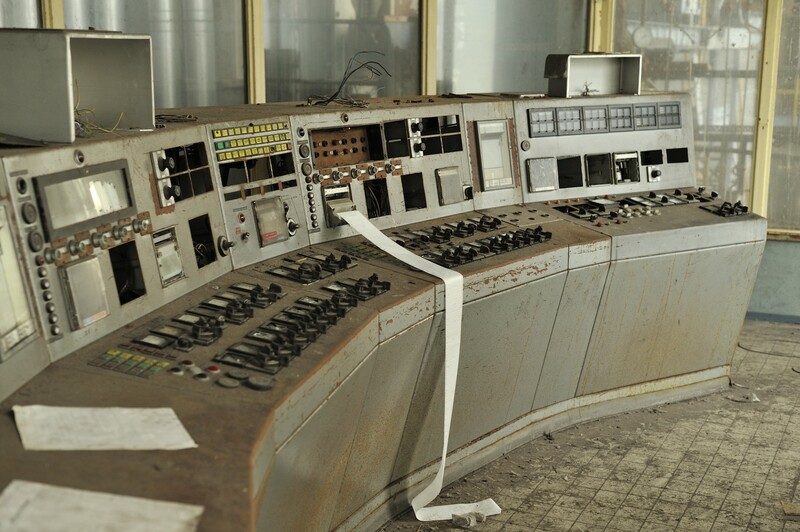 The Brown Boveri turbines have been dismantled and stripped of copper as well as the theft of all the controls and measuring devices. 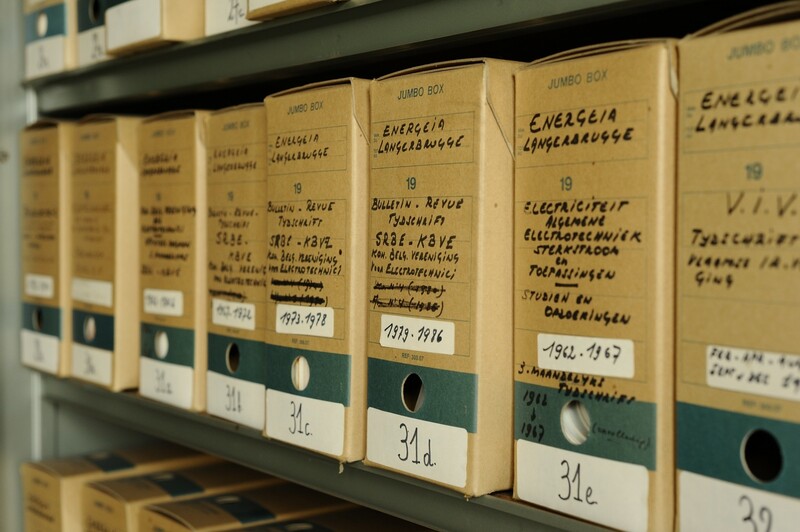 The remaining documents from the former Ebes archive, with numerous original documents and books from the period 1900 to 1960, have been ransacked and destroyed. It has been stated that perhaps the historical preservation of this site by the new owner, Langerbrugge Projects, seems not to be a priority. Wow … nice work dave!